When an artist takes a break from the center stages (The X Factor and Late Night with Jimmy Fallon to name a few) and comes back and presents an album that was put together by just his say you might shudder and think of how horrible or get chills of how good it might be. Outasight, our dear readers, is the latter. 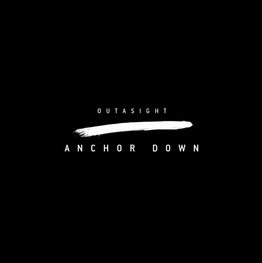 The single “Anchor Down,” which hit airwaves end of July, lives up to its name and leaves you anchored down listening on repeat while you take a moment to enjoy the hip-hop-esque beats partnered with a unique voice rapping about an unexpected love. Expect the full album Chasing A Ghost to be released October 28th. In the meantime, take a look at the video for “Anchor Down.” It leaves our mastermind in the dark while a girl gets down in a badass disco like moto jacket. If you find yourself wanting to know more of what Outasight was like before flipping the bird to the limelight and digging up his own unique roots check out his website.